We’ve added a couple of fantastic walks to our events programme for this summer. Hope to see you there! Portway Hill butterfly walk, Saturday 24th June 2017, 10:00am – 12:00pm. Join us and the Wildlife Trust for Birmingham & the Black Country for a guided walk around the Rowley Hills. 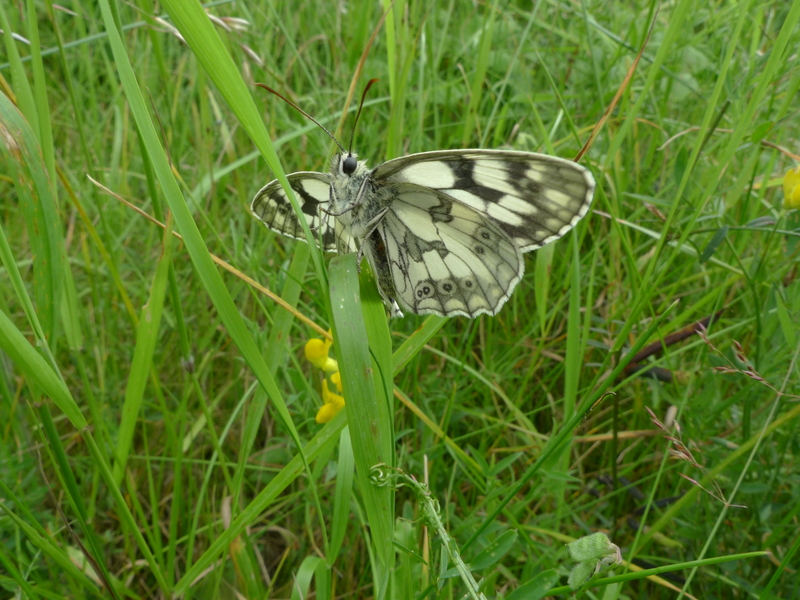 The flowers on the hillside should just about be at their best by this time and if the day is sunny we will see many species of butterflies, including Marbled White; Portway Hill is one of this species’ hotspots in Birmingham and the Black Country. Meet on St Brades Close; ensure you are dressed appropriately for the forecast weather conditions, and wear sturdy footwear. No need to book, just turn up! Butterflies, day-flying moths and wildflowers walk, Saturday 15th July 2017, 10:30am – 12:30pm. Join FORH Chair Mike Poulton and Richard Southwell from Butterfly Conservation West Midland Branch for a fascinating walk seeking out the butterflies, day-flying moths and wildflowers of the Rowley Hills. We will even be using pheromones to attract particular species! Walking boots are recommended and binoculars would also be useful. Meet on the roadside near the Total garage on Wolverhampton Road, just below the Brewers Fayre/KFC at the entrance to the Portway Hill site. 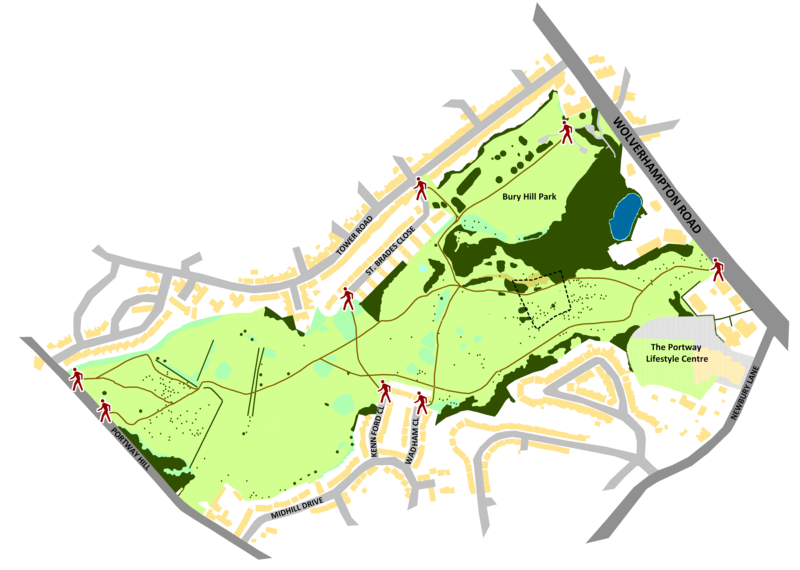 This entry was posted in Events and tagged Black Country, butterflies, Butterfly Conservation, Friends of Rowley Hills, grassland, guided walks, insects, moths, plants, Rowley Hills, West Midlands, wildflowers, Wildlife Trust on June 9, 2017 by janetav. Just a quick reminder that we have an exciting event on this Thursday (23rd June), 11:00am – 1:00pm; in partnership with Butterfly Conservation, our Vice Chair Mike Poulton will be leading a guided butterfly walk around Portway Hill, following a route Mike wrote for the the recently published ‘Butterflies of the West Midlands‘ book. Copies of this excellent book will also be available to buy at the event. This is a peak time for butterfly activity and as long as the weather is good we should see significant numbers of different species. Walking boots are recommended and binoculars would also be useful. Meet on the roadside near the Total garage on Wolverhampton Road, just below the Brewers Fayre/KFC at the entrance to the Portway Hill site (see map below). 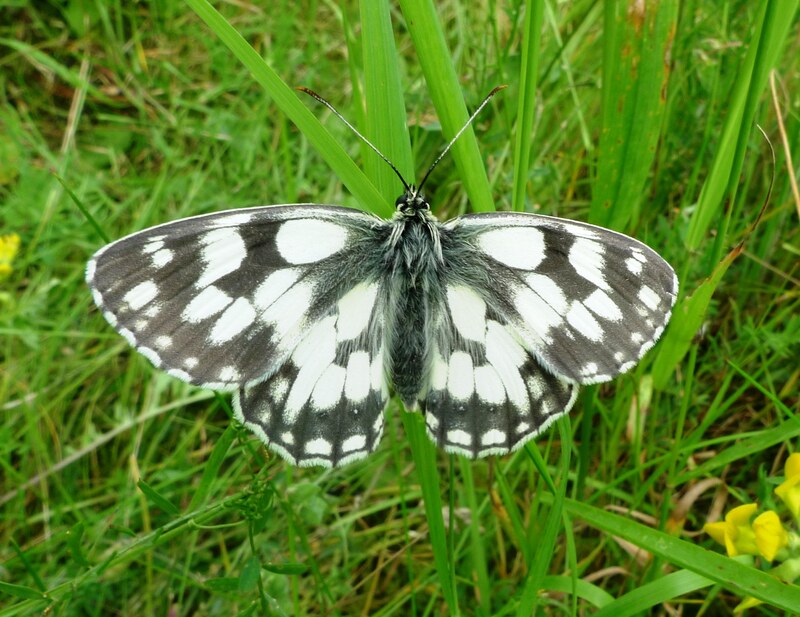 This entry was posted in Events and tagged Black Country, butterflies, Butterfly Conservation, Friends of Rowley Hills, guided walks, Rowley Hills, West Midlands on June 21, 2016 by janetav. More Awards for All successes! On Thursday 7th April our AFA event involved planting 470 native Bluebells and 50 wild Daffodils in the woodland we have previously been working on at View Point. We also spread 250g of Red Campion seed throughout this block. In the westerly block with the path running through the middle we sowed 50g of Red Campion seed and planted about 30 native Bluebells ad hoc. We also spread 50g of Red Campion seed in the most easterly central woodland plantation block. On the afternoon/evening of Thursday 14th April Tom and Doug from the Wildlife Trust organised a Spoon Carving event for local youth group “U-Choose Youth Project” on the Wildlife Trust site on Portway Hill. After a short guided tour of the site each of the group were given a block of wood to carve and instruction on the safe use of the carving knives. The group then set about carving their own wooden spoons. We received great feedback from their youth group leader David King who said “a really good day today on the hill….the kids loved it….we are definitely going to visit again….keep us posted with future things”. On Saturday 16th April we had another event on View Point Open Space where 25 Hazel and 25 Field Maple were planted into the woodland block thinned previously, and Foxglove seed was sown mainly around the edge. We also spread Foxglove seeds around the path in the westerly block. 1kg of Yellow Rattle was scattered on the meadow block directly downhill from the thinned woodland. In addition a litter-pick was carried out and 2 bags of rubbish removed from site. This entry was posted in Events and tagged Awards for All, Big Lottery Fund, Black Country, Butterfly Conservation, Friends of Rowley Hills, Rowley Hills, spoon carving, spring, West Midlands, Wildlife Trust on April 22, 2016 by janetav. The large expanse of open, uninterrupted grassland on the Rowley Hills situated between Portway Hill and the Birmingham New Road, known as Portway Hill Open Space, is currently one of the best sites in the West Midlands for Marbled White and Small Heath butterflies. Mike Poulton has been studying populations of these two butterfly species for the past five years and has produced a short report summarising his findings so far. 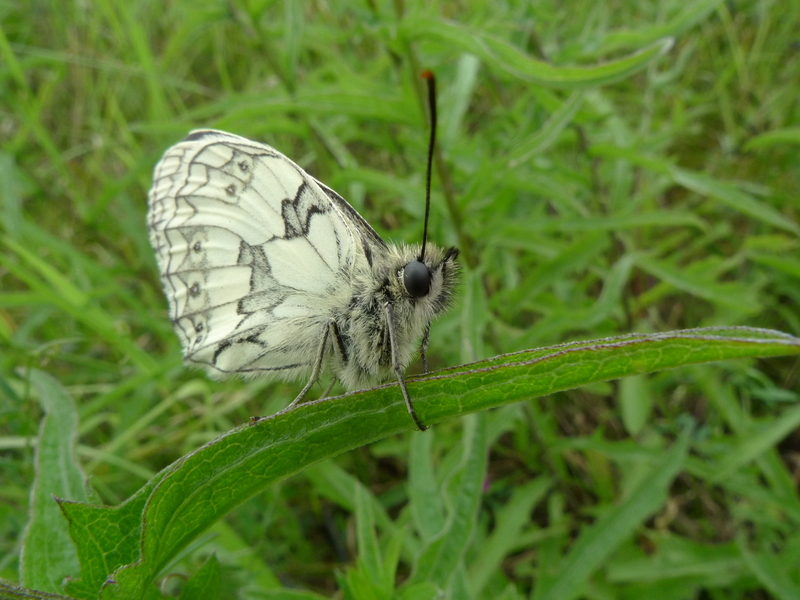 The overall picture is a mixed one, with Marbled Whites thriving but Small Heaths declining. Click here to read the full report. 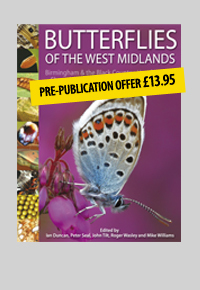 In related news, Pisces Publications have a pre-publication offer on for ‘Butterflies of the West Midlands’. This new book, the first ever on the butterflies of the West Midlands, includes a butterfly walk on Portway Hill; it will be launched in Spring 2016 and can be ordered from http://www.naturebureau.co.uk/bookshop/butterflies-west-mids-detail. Butterflies of the West Midlands book. This entry was posted in Nature & conservation and tagged Black Country, butterflies, Butterfly Conservation, butterfly transect, conservation, Friends of Rowley Hills, grassland, Rowley Hills, surveys, West Midlands on November 10, 2015 by janetav. 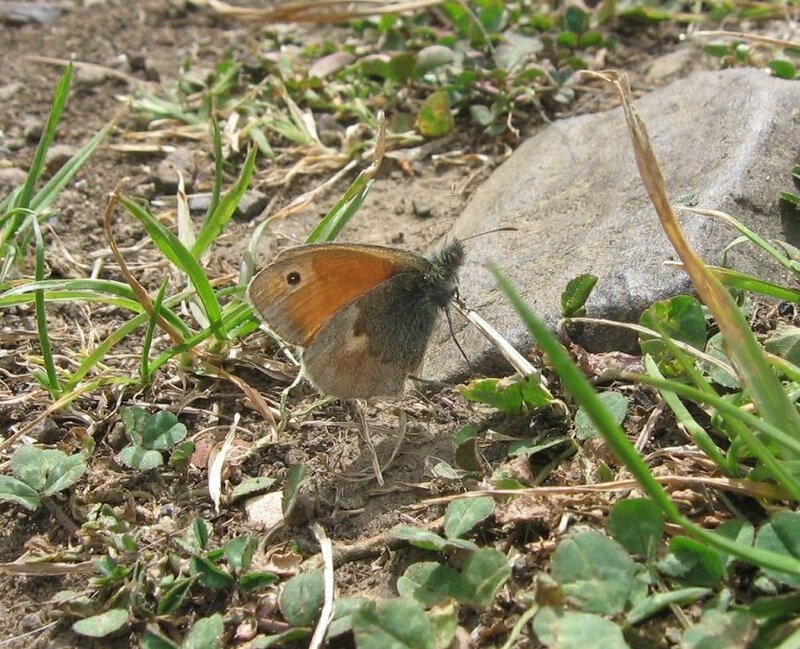 A butterfly walk across Portway Hill written by FORH member Mike Poulton has been selected for inclusion in a new book by Butterfly Conservation. It will be one of 25 butterfly walks in the book, to be published in 2016. Butterfly Conservation is the leading UK charity dedicated to saving butterflies, moths and our environment. More news on the book as we have it! This entry was posted in Nature & conservation and tagged Birmingham, Black Country, butterflies, Butterfly Conservation, Friends of Rowley Hills, guided walks, Rowley Hills, West Midlands on June 11, 2015 by janetav.